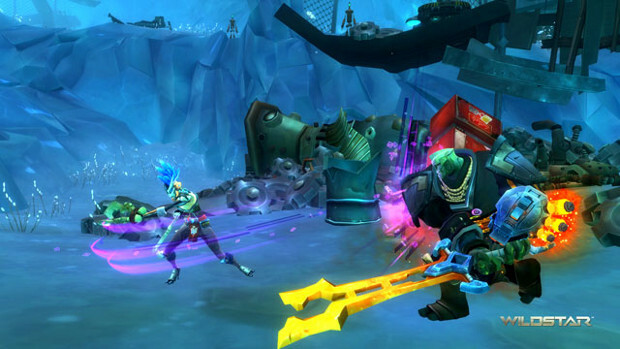 In an effort to make PvP better for those who enjoy it, the WildStar team has announced a few changes. After doing some research into player preferences, Carbine has determined — not surprisingly — that the majority of the game’s players prefer to spend their time on PvE servers. This leaves them with a problem of underpopulated PvP servers where balance might fall heavily to one faction, making solid and fun PvP nearly impossible. As part of the efforts to fix this issue, the development team has decided to move all PvP players to PvE servers (Entity in NA, and Jabbit in EU). Those looking for PvP opportunities will be able to flag themselves for it. Carbine is even working on additional content designed to encourage players to do so. The final mandatory move will take place March 16. However, players who wish to move their characters manually beforehand will be able to do so using free transfers. Full details on using the transfers have been made available on the forums. For more information on the PvP changes themselves, you can check out the official post. @CRAZYJIMMY Sorry to say you don’t know what your talking about the PvE server is far from dead the game has picked up alot of steam sense the f2p change should check it out before slandering it just cause you can. They should just close down the game, it’s dying and nothing they do is going to save it. Last I played the game was dead, barely anyone online. And that’s on the pve servers. I can’t imagine how dead the pvp servers are. I don’t understand why they didn’t do this when they went free to play, but its good news all the same. I never like separating pvp and pve. in survival games it makes since but not in MMOS. or at least that just my opinion .